Pre-Commercial Procurement (PCP) is the procurement of research and development of new innovative solutions before they are commercially available. PCP works in conjunction with Public Procurement of Innovative Solutions (PPI). PCP involves different suppliers competing through different phases of development. The risks and benefits are shared between the procurers and the suppliers under market conditions. For PCPs, risk-benefit sharing under market conditions is when procurers share the benefits and risks related to the IPRs resulting from the research and development (R&D) with suppliers at market price. Separation from the deployment of commercial volumes of end-products is the complementarity of PCP that focuses on the R&D phase before commercialisation. Why is the European Commission supporting PCP? By acting as first buyers of new R&D with important technological needs, public procurers can drive innovation from the demand side. This enables European public authorities to innovate upon the provision of public services faster and create opportunities for companies in Europe to take international leadership within new markets. Creating a strong European market for innovative products and services is an importsant step towards creating growth and jobs in quickly evolving markets such as ICT. What is the EC doing to support PCP? Since 2009, the Commission has launched calls for proposals to support the establishment of networks of public authorities on PCP. These actions have raised awareness and helped share best practices. This has encouraged cooperation among public procurers from different Member States and has led to jointly implemented pre-commercial procurements. Since 2012, the Commission has gone even further by co-financing a pan-European consortia of public procurers who wish to undertake pre-commercial procurement together on topics of common European interest. This support is being extended under Horizon 2020, with financial incentives such as the PCP Co-Fund actions available for consortia of public procurers working together on joint PCPs within the domain of research and innovation defined under each different programme. More on the next ICT8 call: Boosting public sector productivity and innovation through cloud computing services. The delivery of ICT services is changing fundamentally. While technology service options continue to evolve, procurement processes and policies have remained firmly rooted in historical practices that are no longer effective. In order for public organisations of all sizes to take advantage of the best solutions the market has to offer nowadays, more flexible and agile procurement processes must be implemented. Pre-Commercial Procurement (PCP) is an innovative procurement practice that allows public organisations to work with industry to define the specifications for new un-existing services. PCP is a real procurement of R&D. Usually to share the risks of the procurement action, to unburden legal management and shorten the procurement process, public organisations opt for joint actions by combining the procurement actions of two or more contracting authorities. But what exactly is a joint PCP action? What are the legal implications? What are the main requirements? 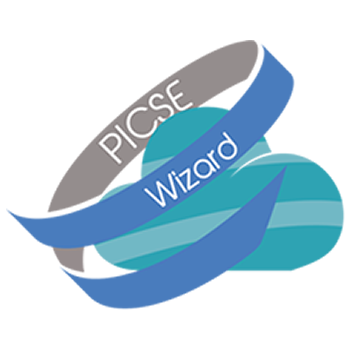 PICSE - Procurement Innovation for Cloud Services in Europe, a new initiative launched under H2020 to fill the gap in the procurement of cloud services, is hosting the webinar "Legal aspects of Joint Pre-Commercial Procurements: from modeling to implementation", by Francesca Cinardo - Trento RISE, via the CERN webcast service https://webcast.web.cern.ch/webcast/. The webinar will be held on the 25th of February 2015, 2:00pm - 3:00pm CET. More here.